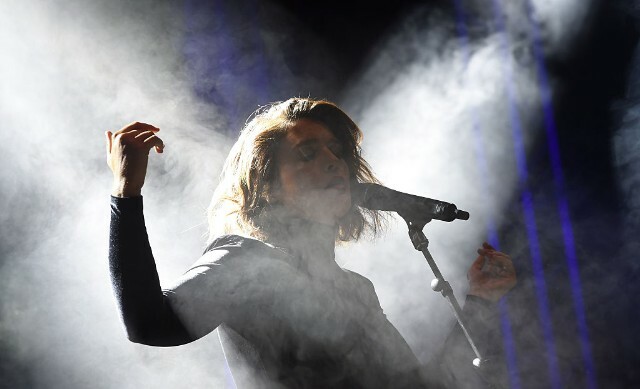 Jessie Ware recently released her first two single in two years, “Midnight,” and now she has shared a followup. “Selfish Love” is a collaboration with producers Cashmere Cat and Benny Blanco, and was co-written by Ryan Tedder. There’s a Latin-y, bossanova-like groove underpinning the acoustic-guitar-driven track, which doesn’t move too far outside the Sade-esque textures that became Ware’s wheelhouse on her past two LPs. Ware, in a brief interview with Zane Lowe about the song on Beats 1 today, specifically brought up Sade and D’Angelo as reference points. No word on any full-length release that this song and “Midnight” might be advances from yet. But for now, enjoy the single below. Update: Jessie Ware has also released a new video for the single. The clip, directed by Tom Beard, is luxurious and at times funny, telling the story of a tempestuous relationship with Ware herself in the lead role. Watch below.